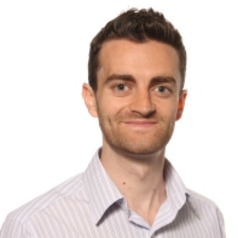 Dr McGovern's research interests include the management and outcomes of people with diabetes. His research focuses on using data from large observational datasets to identify areas for improvement in the care of people with diabetes. He is currently working on analyses of medication adherence patterns in people with type 2 diabetes and monitoring ethnic and socioeconomic disparities in healthcare provision. He also has a keen interest in the post approval monitoring of the effects of new medications and how clinical trial data can be translated in to health improvements in real world patients.